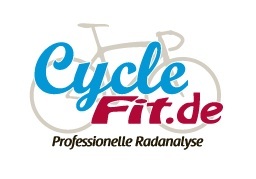 I am very proud to announce a newly formed sponsorship with CycleFit.de. The sponsorship which will run until the end of 2012 will allow me access to CycleFit.de’s exclusive fitting service along with MotionLogic Insoles. Company founder Lloyd Thomas has created a very respectable reputation throughout the cycling and triathlon world. Firmly establishing CycleFit.de as the worlds leading cycle fit company. HTC Highroad, Commerzbank Triathlon Team plus many of the world’s top individual cyclists and triathletes all use CycleFit.de and their services. Cycle fit is vital for injury prevention and also maximizing your race performance. Whether you are a complete beginner or an experienced professional there is no doubt that CycleFit.de can optimize your race day performance. Unlike many other cycle fit companies, CycleFit.de have education of the highest degree no only in cycle fit but in human movement. This reassures me that the service they provide is of the highest standard. I look forward to a successful partnership.